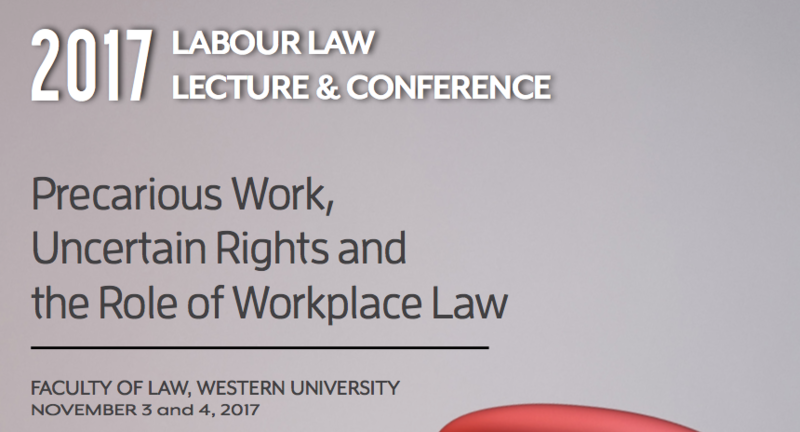 Professor Michael Lynk of Western Law has sent along the flyer for the upcoming annual Labour Law conference. This year’s theme is Precarious Work, which is the current hot topic in the field. Looks like a great line-up, including a lecture by Professor David Weil whose book The Fissured Workplace has proven highly influential in labour policy debates over how best to regulate non-standard work arrangements. Here is the conference flyer.